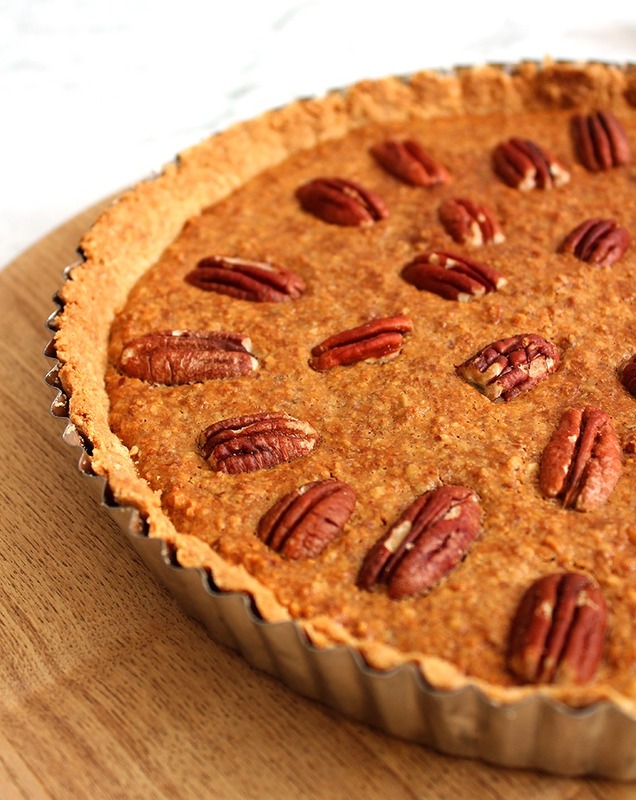 A classic American holiday pie; Pecan Pie is brilliantly tasty with a crumbly or flaky pie crust and a filling that is sticky, sweet and golden. It’s festive, indulgent and tasty with a dollop of ice-cream, custard or cream… all of which, in our case, are vegan of course. 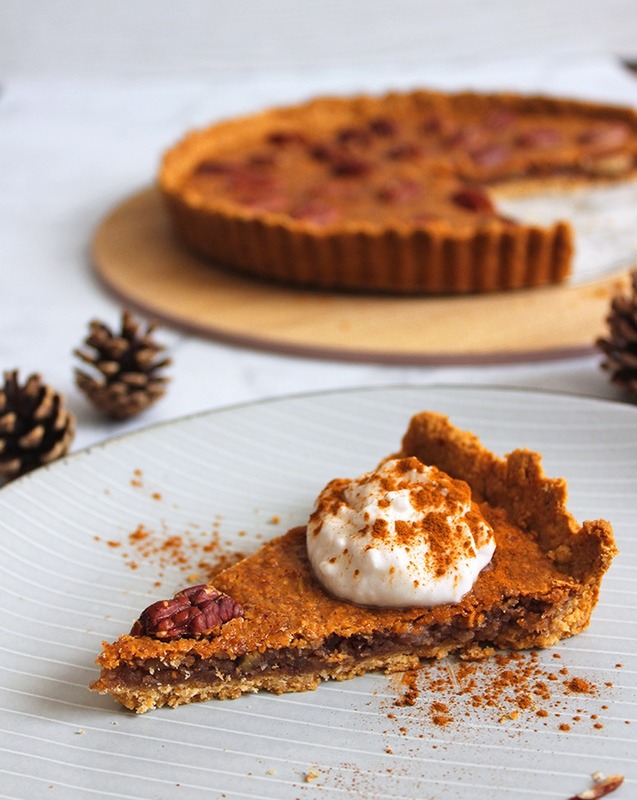 This recipe, in particular, is a holiday favourite of mine – I love the smell, colours and pecan pattern on top. 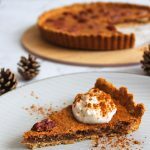 I put this recipe together last year by researching other non-vegan and vegan recipes and swapping out ingredients to create one that has less refined sugars, obviously no animal products and still creates a delicious pie. It includes only 8 scrumptious ingredients that are easily accessible. I opted for making my own pie crust as it really doesn’t take much extra effort and I can ensure there aren’t too many sugars or preservatives in it. 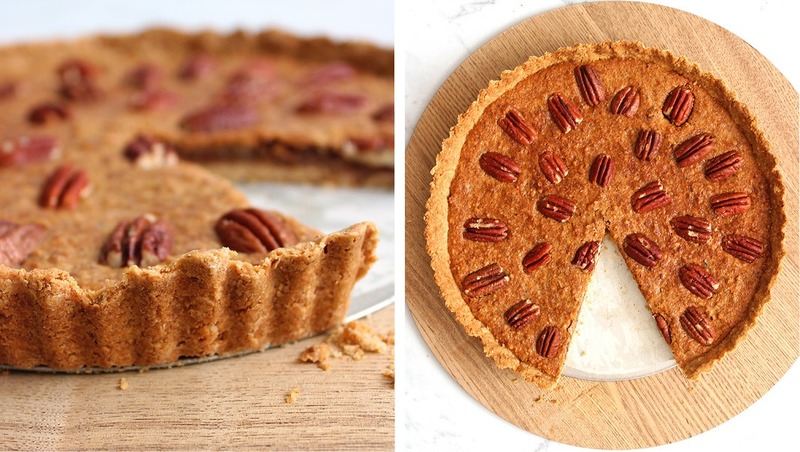 If you’d like to opt for store-bought pie crust, go ahead! The holiday season is a busy time of the year, especially for those who are baking, buying gifts, preparing for guests, etc. It can be exhausting! It’s lucky that this pie is super easy to put together and doesn’t take all afternoon. Whichever pie crust method you choose will work just fine, so you can relax cause this one is a people pleaser. Line a pie dish with vegan butter, oil or parchment paper and preheat your oven to 200°C (390°F). In a bowl, mix together the flour, rice malt syrup and melted coconut oil to form a dough, you will need to use your hands at the end to make sure it holds when squeezed together but is still crumbly. Press this firmly into your pie dish and up the sides. To prepare the filling; add the coconut cream, cashews, rice malt syrup, raw sugar and arrowroot flour to a food processor and blend until it’s smooth and runny. Now add in your 100 grams of pecans and blend for a couple of seconds so that they’re roughly chopped and combined. Bake in the oven for 45 minutes or until golden. Watch that the edges of the crust aren’t burning. Let the pie sit to cool down before serving and then enjoy! *I used wholemeal flour in my pie crust but you can use plain white if you'd prefer. 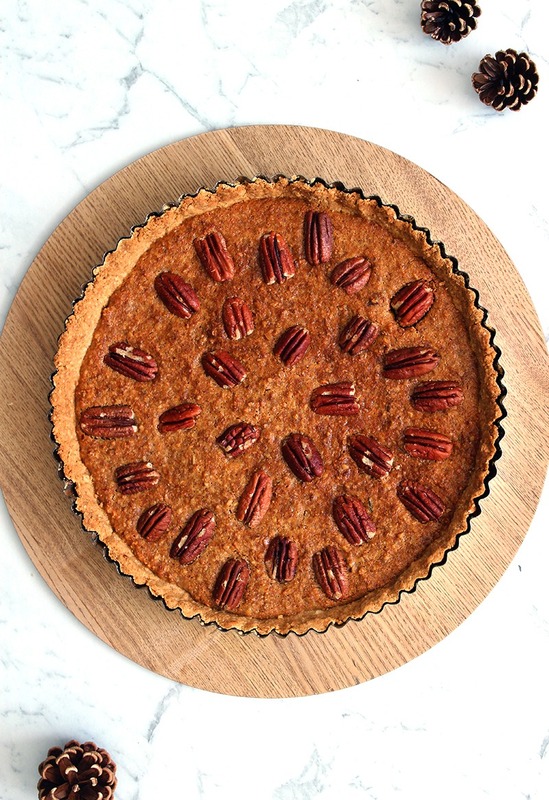 If you made this Pecan Pie, share it with me on Instagram @lemonthy.me!